Real Culture, Real Team, Real Accountability - Excellent Cultures Inc.
Healthcare CEO of 11,000 employee organization weighs in on the real definitions of Culture, Team and Accountability from a results perspective. An amazing vision for an organizational culture where people know that they are highly valued and get things done as a highly effective team by serving each other. A real CEO who actually reviews his organizational mission and values daily on the way to work, does his best to live them and then encourages employees to give him candid feedback when he falls off track shares his insights. How refreshing! 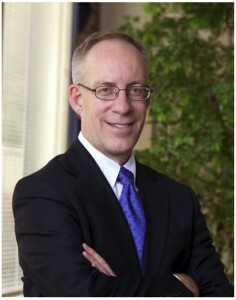 William G. “Bill” Robertson is privileged to serve as the President & CEO of MultiCare Health System. He joined the organization in May of 2014 and is working with the exceptional MultiCare team to provide the people and communities we serve with great access to the best whole-person care — physical, mental, spiritual — that is possible. MultiCare is the region’s largest and best connected provider of high quality and compassionate care. Prior to his role with MultiCare Health System, Bill served as President & CEO of Adventist HealthCare in Maryland for 14 years and the CEO of Shawnee Mission Medical Center in Kansas for 4 years. Engaging committed people in the pursuit of excellent care and compassionate service is Bill’s passion.